Giving your time, services or product is a selfless act. When you volunteer at an organization, non-profit, school, sports program and other opportunities, you are giving one of the most precious things that you can… your time and expertise. Another way that you can give back is by donating items to a cause. You can give clothing, toiletries, and food to homeless shelters as well as community associations. You can donate money- what non-profit wouldn’t love that! You can donate blankets and food to animal shelters, and the list goes on. Trinity Lutheran Church– For the venue and the sweetest woman to help us! Bonnie Heneson Communications: For letting Yenneca help us with the design of our flyers, posters and so much more! Ristorante Firenze– For the cold beer on tap! Costco-Owings Mills: For the bottles of water, cans of soda, paper towels and the fabulous cakes and cookies. Santoni’s Marketplace & Catering: For 20 pounds of their tasty coleslaw! Reter’s Crab House & Grill: For a GREAT price for the crabs! All of these companies allowed us to have an amazing crab feast at an affordable price. Please continue to support these local businesses as well as those listed below who financially sponsored the crab feast this year. Mid-Atlantic Clothing Recycling (MAC) is a professional clothing recycling company. We’re committed to helping American’s achieve another important step in recycling. The recycling of used clothing and shoes. Many of us want to donate our used clothing to charities like Goodwill, the Salvation Army, St. Vincent DePaul and other worthy causes and we support your generosity and personal decision in every way. At MAC, our charity of choice, since 2005, is D.A.R.E. America, the highly acclaimed national program that gives kids the skills they need to avoid involvement in drugs, gangs and violence http://www.dare.com/mac.asp. The funds raised for D.A.R.E filter down to the state and local law enforcement agencies who teach the D.A.R.E. program in local school systems. MAC makes a difference in the community in other significant ways. We offer employment opportunities with safe working environments to those who may not be able to find jobs elsewhere. We believe all resources should be used wisely. With MAC, your used clothes can go a long way. August 19th: 11:30 a.m. – 1:00 p.m.
Save the date! Further details to come! 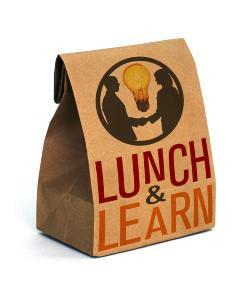 Thurs, August 16th: 5:30 – 7:00 p.m.
Come break-bread with Northwest Chamber Members and guests. This networking event is a FREE chance to sit down and get to know local business professionals. All you need to do is buy yourself dinner at our host’s location. Our host, Seasons Pizza- Owings Mills, is offering a free drink to all Northwest Chamber Members with their meal. Just mention that you are a member when you pay. Come have a tasty dinner while sharing laughs while networking. We thank Seasons Pizza – Owings Mills for hosting us! 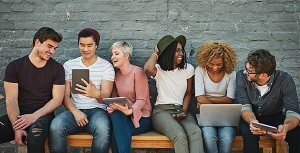 Tues, August 21st: 4:00 – 6:00 p.m.
Join us at SECU Arena at Towson University and learn about the millennial mentality, directly from millennials! This event will feature time for networking and happy hour, as well as a lively panel discussion. Wed, August 8th: 5:30 – 8:00 p.m.
Join us on one of Watermark’s most unique vessels, the Raven, in the Inner Harbor for an evening of networking. The boat will remain docked from 5:30 – 7:00 pm and then cruise the harbor for an hour for those who wish to remain onboard. Also be sure to enjoy delicious food sponsored by Morton’s The Steakhouse. July 26, 2018 -Baltimore, MD — Baltimore Humane Society Dog Kennel roofs damaged from rains. The unrelenting, record-breaking rains this past week have left Baltimore Humane Society with two damaged dog kennels in immediate need of new roofs. Replacing the flat roofs is a costly venture and the no-kill shelter in Reisterstown needs to quickly raise $20,000. Because the private non-profit does not receive operational funding from the government or any national humane society, it relies on the support of the community to help keep its doors open. Without that support the shelter could not save the lives of so many homeless pets in need. The two dog kennels are the only kennels on the premises. All the dogs are still housed in them and being kept safe and dry, but will be a difficult situation with any subsequent rain. Bring your pet, your friends, and your family and help support our no-kill shelter, which relies solely on donations to operate. We do not receive funds from any national humane societies or local governments. Helpus raise money whil you Enjoy a 1-mile trail walk through our beautiful 365 acre wildlife sanctuary. 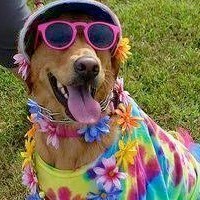 Then join the fun and excitement of all else that DogFest has to offer! Create a TEAM and walk together or compete against your friends! Sponsorships are still available. Baltimore H umane Society and Ristorante Firenze are working together to host the Firenze Canine Cocktail Hour taking place every Thursday from open to close. For each cocktail sold, $1.00 will be donated to the Baltimore Humane Society. Click below to check out the drink specials! Ruth’s Closet – Summer Clearance Sale! Ruth’s Closet will be running a summer clearance sale of 50% off storewide from August 7th to August 11th! Donations will be accepted if clean and in excellent condition. Approved items include: women’s clothing, footwear, outerwear, accessories and jewelry. Donations are accepted on Tuesdays and Thursdays only. *Please Note, Wednesday, August 8th we are closing at noon. We will reopen Thursday, August 9th at 10:00 am. Baltimore County Restaurant Week is here! Support our local participating restaurants. Mon, August 6th: 7:00 p.m. 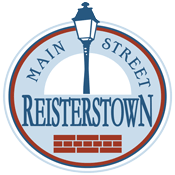 This organization focuses on vital issues affecting our community such as the Northwest Master Plan and development that brings to the area, supports the Reisterstown Improvement Association, Inc. efforts to revitalize and improve Main Street, revisions to the comprehensive zoning maps and improvements to our education and transportation system. Email mark1858@aol.com or call 410-241-1057 for more information. 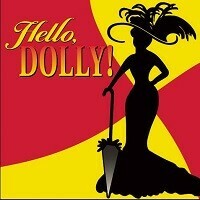 Thurs, August 9th: 7:30 p.m.
Sacred Heart’s Glyndon Area Players is the theatre-in-residence at Sacred Heart Parish. It was founded in 1998 as a creative outlet to showcase the talent of Glyndon, Reisterstown, and the surrounding Maryland communities. Tues, August 7th: 6:30 p.m. Celebrate as a community and learn about health and safety topics as well! NNO was designed to heighten crime and drug prevention awareness; generate support for and participation in local anticrime programs and strengthen police-community awareness. See you the evening of August 7th to celebrate time together with family and friends and community teamwork as Chartley Homeowners Association, Country Club Estates Community Association and the Reisterstown Improvement Association host this special event. Email erschmidhauser@comcast.net or call 410-833-0262 for more details. Tues, August 14th: 10:00 a.m.
Meeting is designed to examine the vision of Main Street. Although these meetings are open to all, the focus is on Main Street business and property owners. Each meeting discusses issues that affect Main Street businesses and we want to hear your concerns, opinions and solutions. Please join us and help affect positive change along Main Street! Email brendan@reisterstown.com or call 410-979-3386 for more information. Fri, August 10th: 7:00 – 10:00 p.m.
Classic and Modern Rock come to Reisterstown! The band mission is to bring the ultimate concert experience to our town. You’ll have a great time relaxing after a long week of work listening to the classic and modern rock! Email glenn.barnes@lnf.com or call 443-695-2308 for more details. Owings Mills, 6:30 – 8 p.m.
It’s fun for all! Every Thursday evening throughout the summer, some of the area’s top bands perform live on the Row. So come enjoy free concerts. Don’t forget a chair or blanket! Bring the kids by our table for a FREE temporary tattoo! Next Concert: 8/9/18 – Totally Confused – An eight-piece band playing classic rock, blues, Motown, swing, and other stuff you can dance to. Mark your calendars to visit the Main Street lawn of Franklin Middle School each Sunday throughout the summer between 9am and 1pm. For most of its history, Reisterstown’s biggest industry was farming. 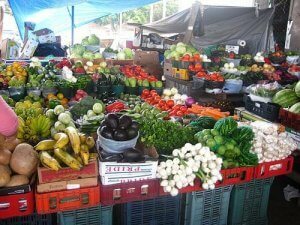 Many great farms still grace our countryside and our Farmers Market brings their very best to Main Street. The 1st Sunday of each month there will also be a Flea Market aspect to the event. Throughout the summer our market has hosted varied activities such as cooking classes, children’s activities, yoga demonstrations, and tips for healthy eating on a budget. Northwest Chamber Members: Is Your Business Hiring? We Can Help! Send us the job and contact information, and we can add your job listing to our website at no cost! Reach thousands of potential local customers every month through us! We are now offering website banner advertising opportunities to our membership! Leverage OUR website traffic to help YOUR business and drive visitors to YOUR website! Don’t worry about creating the ad- We will help!